It’s a great feeling when you get to see a project through. 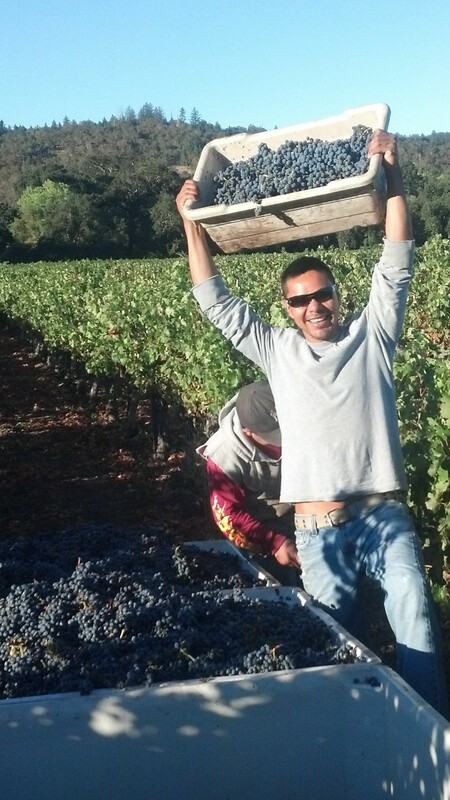 That’s how we felt last week when we had the opportunity to pick a Pinot Noir vineyard in the Russian River Valley that we had started working in January of this year. When you work with grapes, the job is to nurture each vine individually and manage the vineyard as a whole. 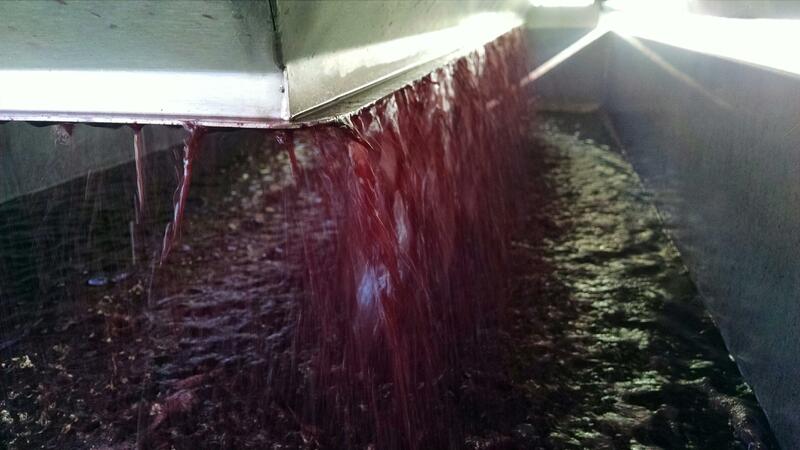 When to pick the finished product – ripe grapes – is actually up to the winemaker. Whoever is purchasing the grapes is using them as the raw materials for a beautiful wine. 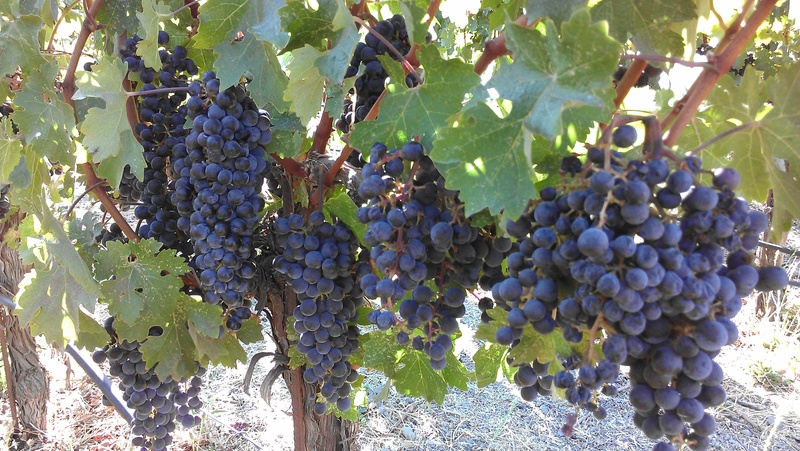 The growing season, elements, geographical features of the vineyard, and vineyard management techniques will all have effects on flavor. But the style of wine (bursting fruit flavors, bigger wines with higher alcohol contents vs. more traditional lighter alcohol wines with more restrained characteristics that might develop more over time, etc) starts with when to pick – at what levels the acidity and sugar exist in the grape. 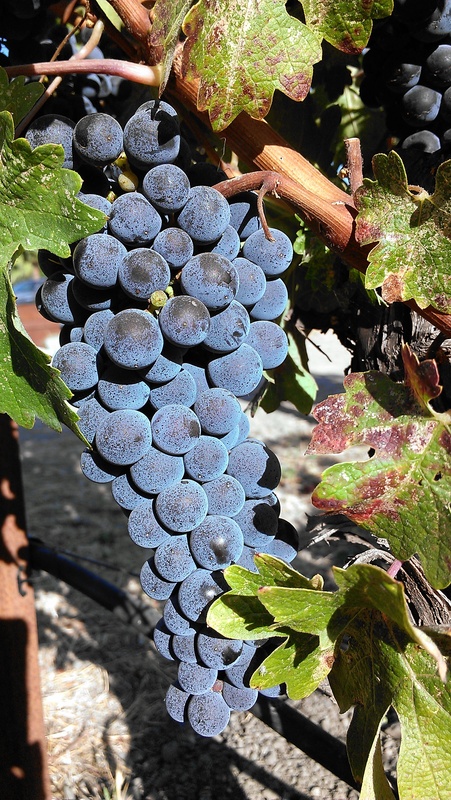 Pinot Noir is a thinner skinned grape that ripens before thicker skinned grapes like Cabernet Sauvignon and Petite Sirah. Here’s to the 2014 vintage, cheers! Foraging for food is eating local, culinary nouveau – it’s so old it’s back “in” again. I’m always terrified of the prospect because I live under the assumption that I’ll be one of those who picks a pretty poisonous plant and literally dies of ignorance. Enter my better half, who grew up on a ranch, working and enjoying the outdoors. Long story short, we’ve savored a number of sweet natural treats, exotic to me, mundane for him. Little treasures hidden in plain sight. This week: Granadas! 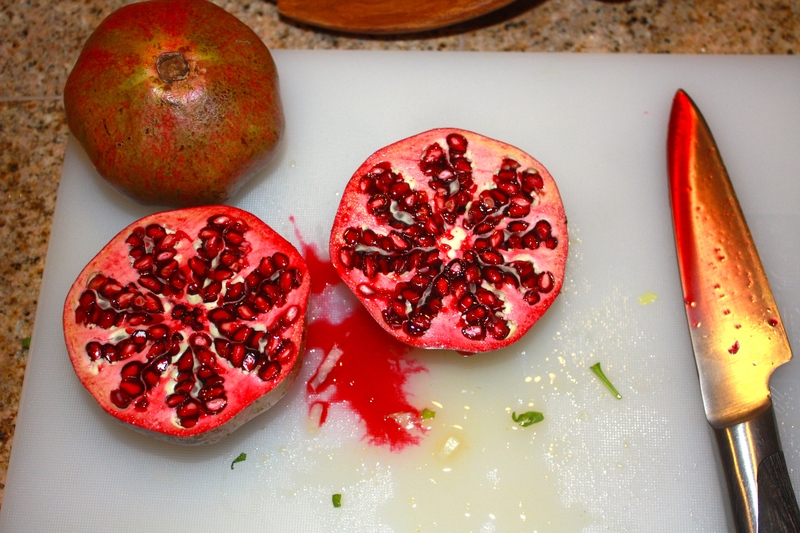 Pomegranates!